Jimi Hendrix recorded this at a New Year's Eve gig at the Fillmore East on December 31st 1969 with Buddy Miles and Billy Cox, exactly 40 years ago to date! How cool is that? It is with great sadness that Carvin announces the passing of it's founder, Lowell C. Kiesel. Mr. Kiesel was born in Nebraska in 1915, and as a young man, spent time in Wichita, Kansas, where he developed an interest in musical instruments; specifically, Hawaiian steel guitars, resonators and the electronic aspects of these instruments. 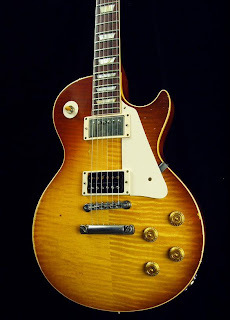 He founded the L. C. Kiesel Company in 1946, and began winding pickups on an old sewing machine owned by his wife, Agnes. 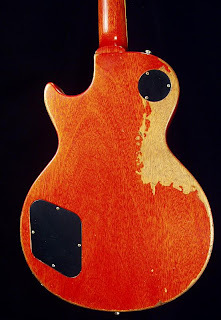 The company was located in Los Angeles, briefly relocated back to Mr. Kiesel's home state of Nebraska, and then moved back to southern California in 1949, where the name was changed to Carvin, after his two eldest sons, Carson and Gavin. 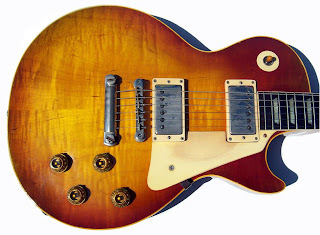 In the following years, the company expanded from pickups to guitars and basses, amplifiers, pro audio equipment and other musical accessories. Mr. Kiesel's leadership, technical expertise and innovative engineering concepts led the company for decades, and even after handing the reins of the company over to his sons, he maintained an office in Carvin's San Diego headquarters and remained active in company operations. He will be greatly missed and fondly remembered by the Kiesel family and the entire staff of Carvin. 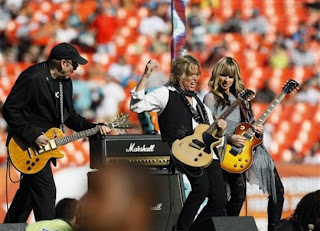 Orianthi is definitely making her rounds -- this time performing a solo rendition of the Star Spangled Banner for the opening of an NFL game between the Miami Dolphins and the Houston Texans in Miami on December 27th 2009. The Aussie lass was later joined at half-time by Cheap Trick's Rick Nielsen and Brian Ray of Paul McCartney's band for a Gibson Guitar Tribute to Les Paul jam. One of those rare occasions you'll see Orianthi with a Les Paul. And with a Floyd Rose to boot! Here's an old chestnut from 1945. Written by Mel Torme and Bob Wells, The Christmas Song was recorded most famously by the great Nat King Cole. The guitar player in this vid is Royce Campbell who at age 28 became the touring guitarist for composer/arranger Henry Mancini's orchestra up until Mancini's passing in 1994. Royce has also toured with Cleo Laine, Marvin Gaye and Mel Torme and has performed with jazz luminaries Jack McDuff, Jimmy Cobb, Joe Williams, Groove Holmes and James Moody. Merry Christmas to you and yours, from all of us here at The Guitar Column! Listen To Royce Campbell CDs Here!